Anyone who has read my blog for long enough (hi, Mum) will know I've had a love affair with jewellery designer Monica Vinader for quite some time. 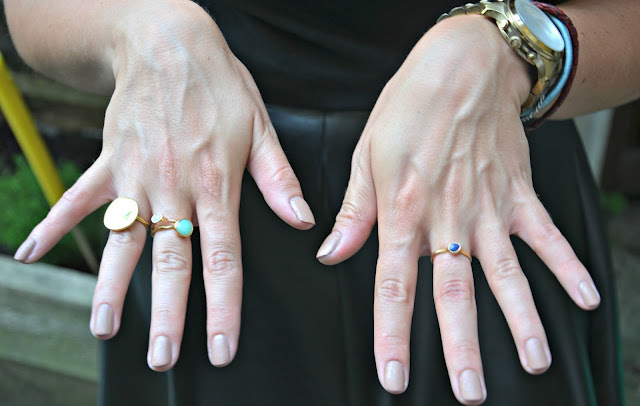 Almost a year to the day I blogged about their gorgeous Siren rings (read the original post here) as gorgeous little accessory staples and after popping down to see Ella run an evening at their South Molton Street store (ahem, note the address) I fell in love with them all over again. My friend Sarah decided she wanted some of their stackable rings for her birthday, which was a great excuse to get down to the shop again last week. 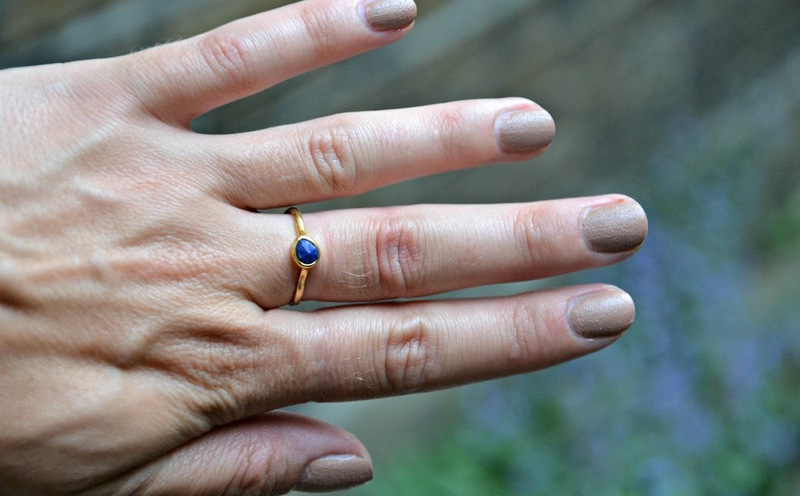 She chose some amazing rose gold and black gemmed pieces, and the lovely team treated me to an engraving on a gold plated Siren Ring, so I had the letter B put on my new ring as a kind of 'Carrie' style mention to my better half. Despite the constant snapping of my hands on my Instagram account, rings and things are a relatively new concept for me. I played the piano growing and dabbled with sports (read: attended PE lessons and smoked behind the bike sheds) so never had the chance to wear them. 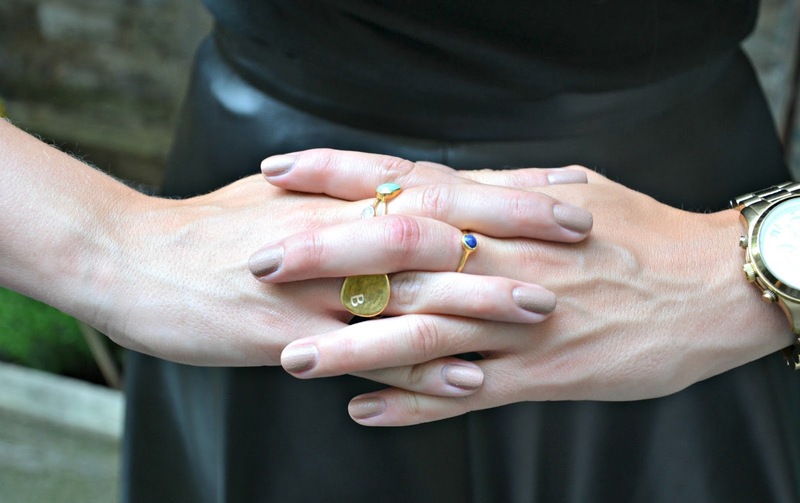 My sister bought the rose gold Siren Stacking Ring from Monica earlier in the year, and knew I had to have one straight away. It's become a bit of an addiction, I am now the proud owner of the not only the plated Siren, but my green onyx and lapis gold Siren Stacking Rings and (new addition) the same rose gold Siren Stacking Ring. I love my little boho fingers now - I feel lost if I ever forget to wear them...! Since my little trip to Palma last month, mixed with tanned hands and a new nail varnish courtesy of a speedy manicure at the Nails Inc pop up at Westfield Stratford's Malibutique my rings are getting noticed more and more. I love the price points, and I love the whole classic-cool air behind all of Monica's designs. I'm sure I'll end up like one of the team there who said she wears up to 8 rings at a time! Have a look at her whole collection here. Loving your ring collection - I really like Monica Vinader too but don't have any in my collection. YET! Those are some really great simple statement rings :) I'm loving the blue one!